Point2 Homes gives you far more than a simple list of houses for sale. Get instant access to a lot of relevant information about Harbour Landing, Regina, SK real estate, including property descriptions, virtual tours, maps and photos. The search results pages also have a wealth of information on Harbour Landing, Regina, SK, if you scroll all the way down. There are 127 houses for sale in Harbour Landing, Regina, SK. 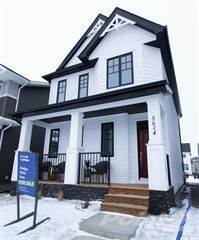 Searching homes for sale in Harbour Landing, Regina, SK has never been more convenient. With Point2 Homes, you can easily browse through Harbour Landing, Regina, SK single family homes for sale, townhomes, condos and commercial properties, and quickly get a general perspective of the real estate prices. Also, you’ll never miss a bargain if you filter listings based on house price drops in the past six months. 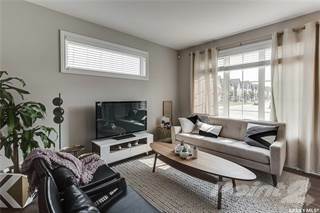 Use the map view to find Harbour Landing, Regina, SK homes and apartments for sale, based on amenities or city features that you may want close by. You can close in on a specific neighbourhood or area by simply drawing around them with the polygon or radius tools. Stay informed about the latest entries on the real estate market by saving your searches. This way, you get new listings in your inbox, daily or every week, based on your preferences. If you’d like to get in touch with a professional, agents are displayed next to their listings, and they’re easy to contact through the online forms. 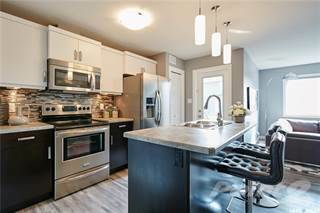 If you want more options, you can click the Tools tab and Find an Agent, and you’ll get a list of helpful and knowledgeable real estate agents in Harbour Landing, Regina, SK. Visit the Point2 Homes blog and you can find up to date expert advice on many markets throughout Canada, regular market reports, neighbourhood scoops in cities throughout the provinces, real estate deals and useful recommendations. One of the city’s newest neighbourhoods, Harbour Landing offers a mix of single-family and multi-family housing options. A large commercial area along the neighbourhood’s eastern edge provides a variety of amenities such as stores, restaurants, and service providers. Public transportation and the nearby Trans-Canada Highway make getting around the neighbourhood and travelling to other areas of the city very convenient. Harbour Landing is located in the southwestern section of Regina and extends from Campbell Street in the west to Lewvan Drive in the east, and from 25th Avenue in the north to the Trans-Canada Highway in the south. As this is one of Regina’s newest neighbourhoods, there is still some ongoing development in the area. Harbour Landing has a suburban feel, with large houses, strip malls, and new park spaces. THarbour Landing has a large commercial area on the eastern side of the neighbourhood, which includes Grasslands shopping mall, with retailers, service providers, and restaurants. Stores in the area sell clothing, accessories, home décor and furnishings, gifts, sports and outdoor goods, electronics, footwear, and health and beauty supplies. Service providers include banks, salons, and dentists. Northeast of the neighbourhood is Rainbow Cinema Golden Mile, which screens numerous big-name movies throughout the week at reasonable prices. The theatre also includes a concession area and a games arcade. Farther north is the MacKenzie Art Gallery, Saskatchewan’s largest public art gallery. The gallery features works by local, national, and international artists, and has an art conservation lab, a learning centre and resource area, a gift shop, a theatre, conference rooms, and a vault with over 4,500 pieces from the gallery’s permanent collection. Roots Kitchen & Bar, located on James Hill Road, offers an interesting menu with pasta, burgers, salads, pizzas, and tapas, all freshly made. Customers can choose to dine in the modern, yet rustic venue, or get their food for takeout or delivery. MR MIKES SteakhouseCasual on Gordon Road has a menu boasting a variety of comfort food such as steak, burgers, seafood, mac & cheese, pasta, and appetizers. The relaxed décor and friendly service provide a great venue for families. Brewed Awakening Coffee Lounge on Harbour Landing Drive is a cozy coffeehouse offering a variety of baked goods and light fare such as sandwiches and wraps, as well as coffee and tea beverages. The comfortable atmosphere encourages customers to stay awhile and enjoy the experience. Harbour Landing includes a variety of housing types, from detached single-family homes to condos and apartments. The average price for single-detached homes in the area is $378,449, which is higher than the average price for single-detached homes in Saskatchewan overall ($285,811). The population of Harbour Landing is around 14,000, and this has been growing over the past several years. Families make up 28% of the population here, 34% are couples, and 38% are single. The average annual income is $102,350, which is more than the average for the province as a whole, and 60% of residents are university or college educated. Harbour Landing is far enough from downtown Regina to experience less air pollution than other neighbourhoods do. Noise can be an issue near major roadways and highways in the area. Harbour Landing has a very low crime rate. The most common types of crime here are fraud, break and enter, theft, and mischief. Schools in Harbour Landing include Harbour Landing School and St. Kateri Tekakwitha School. Other schooling options can be found in nearby neighbourhoods and include Deshaye Catholic School, Ethel Milliken School, Montessori School of Regina, Dr. A. E. Perry School, Campbell Collegiate High School, Massey School, Grant Road School, Argyle School, Prairie Sky School, and Dr. Martin Leboldus High School. There are no post-secondary options in the neighbourhood, so residents must travel to other neighbourhoods to access options such as the University of Regina, Saskatchewan Polytechnic, the First Nations University of Canada, and Campion College. A few Regina Transit routes run through the neighbourhood: routes 7 (Glencairn, Whitmore Park), 9 (Parkridge, Albert Park), 18 (Harbour Landing, University), and 40 (Albert North, Albert South Express). These routes connect to other nearby routes, which allow passengers to access other areas of the city, including Downtown. There are a number of parks in Harbour Landing, scattered throughout the neighbourhood. Havilland Park in the neighbourhood’s northern section features a playground, a walking path, a soccer field, greenspace, and a seating area. Tutor Park, also in the northern section, has a large greenspace, a canopied seating area, walking paths, landscaped areas, and a hill for tobogganing in winter. Groome Park, in the central section of Harbour Landing, has a soccer field, walking paths, seating areas, and a hill for tobogganing in winter. West of Groome Park is Fairchild Park, which features a full-sized rink used for hockey and skating in winter and basketball in summer, a large playground, a pathway to Harbour Landing Creek, a multipurpose athletic field, a dinosaur-themed area, seating areas, and greenspace. McKenna Park in the southeastern section of the neighbourhood has a woodland-themed play structure, a treehouse, greenspace, seating areas, covered picnic areas, walking paths, and landscaped areas. There are no recreational facilities in Harbour Landing, but there are some available in nearby neighbourhoods. Optimist Arena, located east of the neighbourhood, is an ice rink used for hockey, ice skating, and it has public skate times. Skating and hockey lessons are also offered at the rink, and the venue can be booked for private events/lessons. The South Leisure Neighbourhood Centre, also located east of Harbour Landing, has a gymnasium, a multipurpose room, a board room, a craft room, a kitchen, a lounge area, and shower/change room facilities. Programs and activities offered at the centre include floor hockey, fitness classes, badminton, art classes, cultural programs, pickleball, and soccer. Programs offered are available for people of all ages. The George Bothwell branch of the Regina Public Library has a variety of printed and electronic materials available, including multilingual collections, as well as providing access to computers, printers, scanners, photocopiers, and Wi-Fi. Other features of the branch include a gaming area with video game consoles and games, meeting rooms, and a variety of community programs for people of all ages.